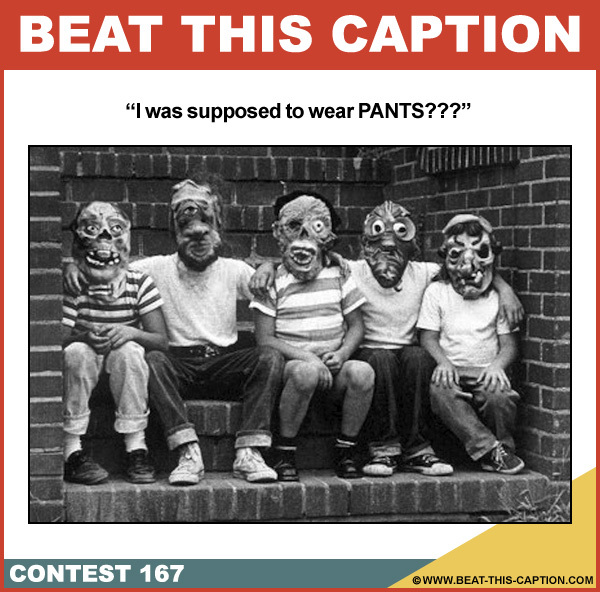 October – 2013 – Caption Contest Funny Clever Witty Enter Today! 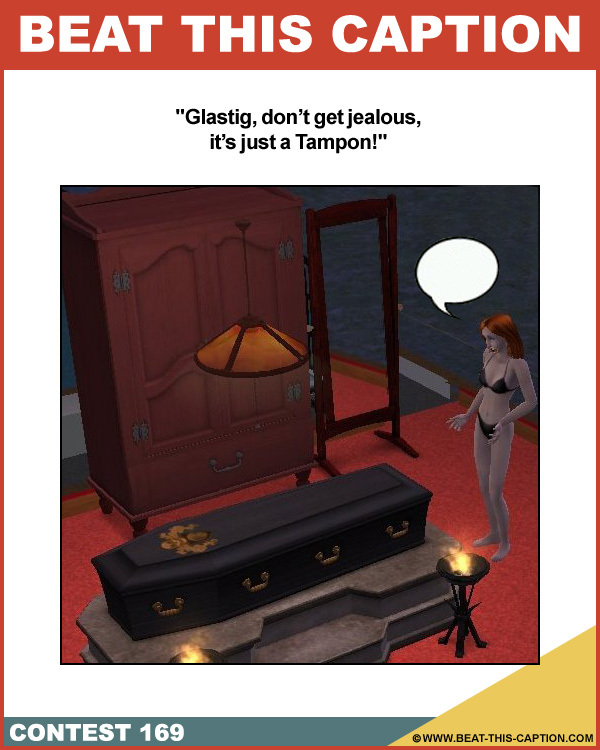 Glastig, don’t get jealous, it’s just a Tampon! October 24th – November 3rd 2013. 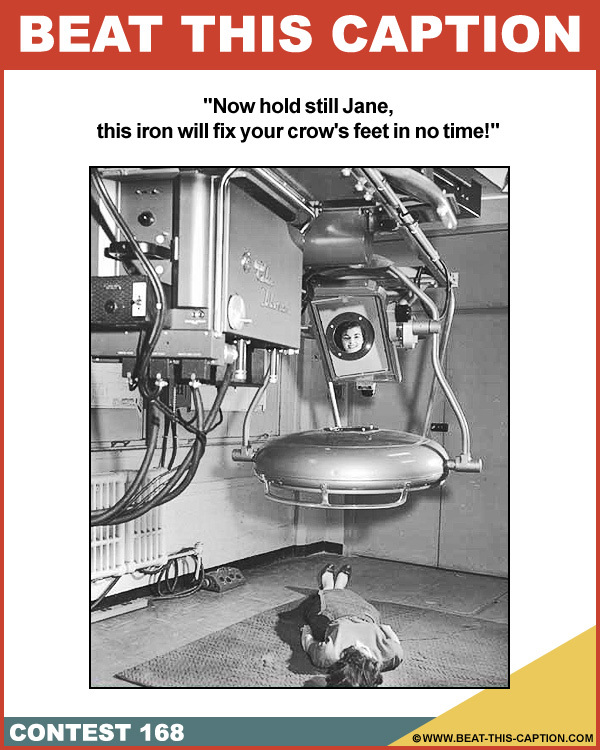 Now hold still Jane, this iron will fix your crow’s feet in no time! 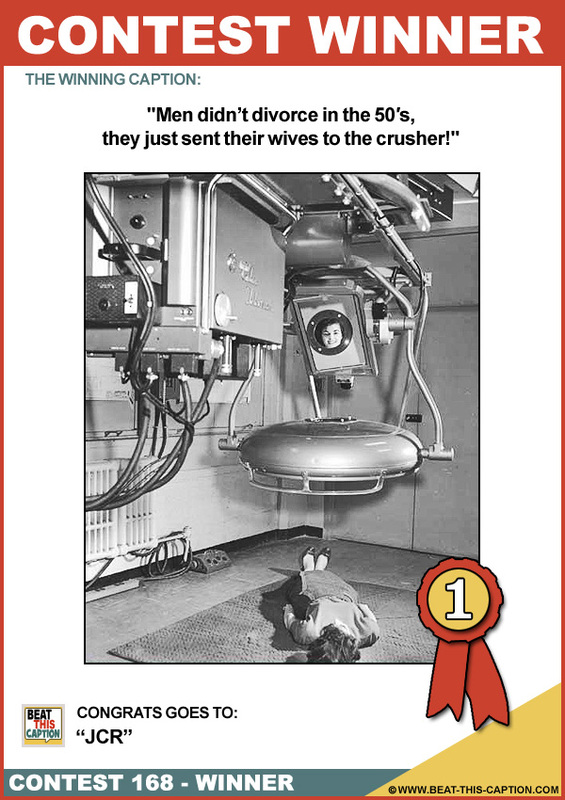 Men didn’t divorce in the 50′s, they just sent their wives to the crusher! LMAO! It started out as a crush, why not end in one? ;) Great Caption! 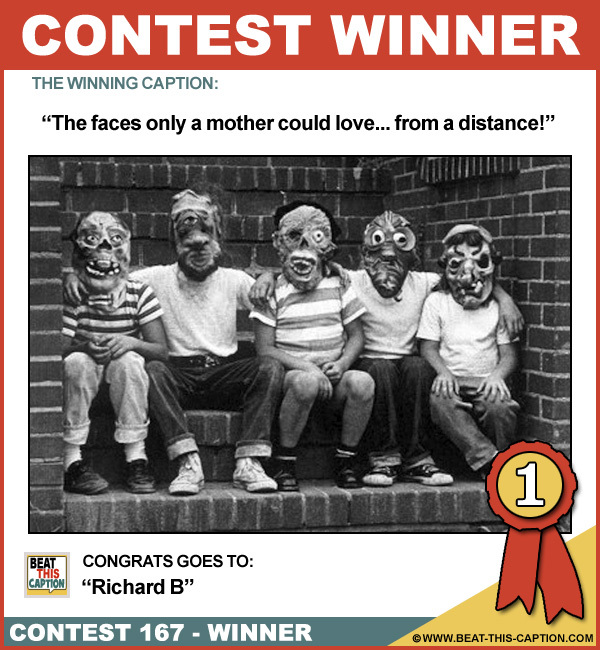 You WIN! how to take a selfie: 1950s style! Every time Hannibal loaded poor Jackie onto the barbecue grill, it tipped over! The most expensive makeup mirror in the world! Greetings earthling we thought you would look and taste better as a bellgen waffle! Good thing I had a complete makeover before being zapped into outer space! October 20th – October 23rd 2013. October 13th – October 19th 2013.